For Honors College Fellow Cami Conroy, the Honors Humanity Program course (H2P) sparked a new appreciation for history’s power to “tell people’s stories.” She got an up-close look at the history and culture of Peru thanks to the new Honors Passport program, but it was the personal connections with Peruvians and her peers that proved to be perspective-changing. H2P classes have been at the top of my list of difficult courses every semester. They’ve always been the ones I’ve had to invest the most time in, and, looking at my grades on certain essays and quizzes, were often the ones from which I seemed to get the least amount of return. Fortunately, grades are not the only measure of value for a course. 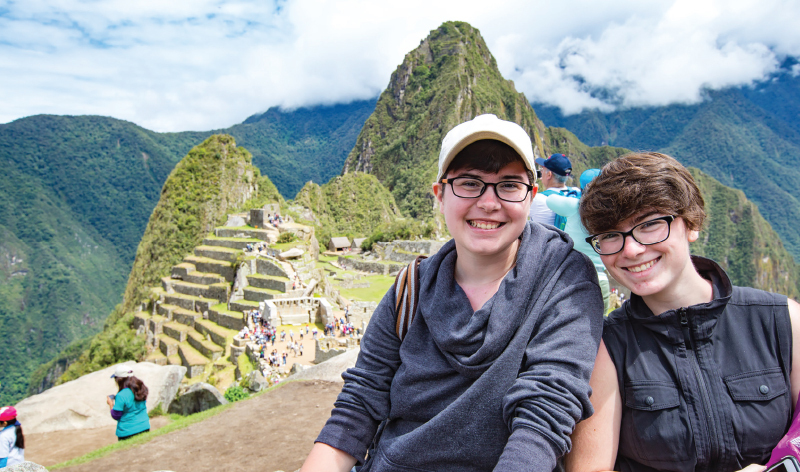 If they were, I never would have come to Peru with the Honors Passport program. 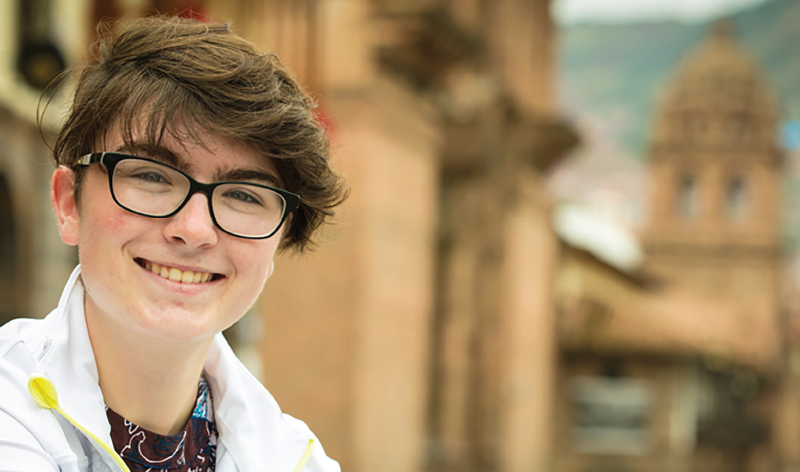 The truth is that, even though the humanities were my least favorite classes throughout high school, I came to Peru in part because I knew that we would be learning about history –and previous H2P classes had reshaped my perspective to the point where I was actually passionate about the subject. I’m not going to lie. I seriously considered bailing on the program in the days before we left. 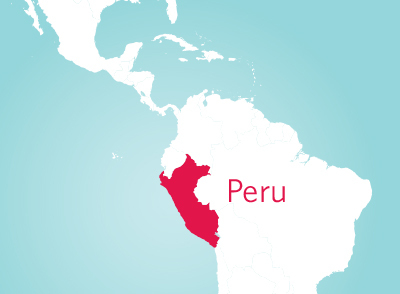 I was stressed as hell about the amount of reading we would be required to do, about my presentation, which would be due the first day in Peru, and I felt that I hadn’t spent enough time at home with friends and family in Illinois. But something inside me knew I would regret chickening out. I have no regrets about coming to Peru. It’s been hard. There have been times when I thought my lungs would fail as we were hiking up a mountain. Times when I thought I would fail the course because I didn’t feel like sacrificing sleep for reading time. There have been moments when I missed home and the food I’m used to and constant access to Wi-Fi. But I have, yet again, been rewarded with something more valuable than all of the things I may have had to sacrifice to get here. It starts with the friends I’ve made, and my realization that I am somewhat of a people-oriented person. Anyone who knows me at all will probably have a knee-jerk reaction to deny this. I did, myself when the thought first crossed my mind. Myers-Briggs Type Indicator has told me time and time again that I am more than 80% introverted. I like my alone time, I really do. But here in Peru, even though we spend the majority of every day with a large group, I find myself happy to be around these people. Of course I’ve enjoyed learning about the history behind various art pieces and architectural structures. Of course, being a nature lover, I had a blast exploring the island of Amantaní; how could I not, when it is filled with trees and vegetation? And of course I was awed by Machu Picchu, one of the New Seven Wonders of the World; it certainly lives up to the title. More surprising was the realization that Amantaní was special to me for more reasons than its wilderness alone. I found myself reflecting on the conversations I had with the local people, one on one, when I volunteered to help them make lunch, which falls outside of the more tourist-oriented activities in which we’d participated, and the way one of the women had been kind enough to take my cold hand in her warm one when I was lost. And as much as I loved observing Machu Picchu, I felt that the experience was made exponentially better thanks to the presentations of my peers, and the discussions we had about the place and its history on the train and bus rides back to our hotel. My point is that, for me, a journey abroad becomes meaningful, in large part, because of the people who are with me in exploring places we’ve never been, and because of the people, like those of Amantaní, who help us on the path to discovery. Looking back, this should not have been such a surprise. All the way back in H2P1, I learned that history, for me, is interesting because when all of the dates and generalizations are stripped away, at its core it is all about discovering and telling the stories of individuals. Tourism to me has always seemed to encourage the same generalizations made by high school history classes; this study abroad experience showed me that travelling as a tourist can be so much more, as long as you are able to focus the lens through which you view the world to a more intimate point of view. Honors Passport is a relatively short study abroad program. Two weeks? It just is not a ton of time to learn. But in this case, it was more than enough time to learn something perspective-changing about myself, and that, to me, is time well spent.